A payroll officer is an integral part of any payroll department, with a number of important duties to ensure the smooth running of the payroll team at your business. While the most important task for a payroll team is ensuring that all employees are paid on time and with the correct amount, there are also other important duties which must be performed. This includes the distribution of many important forms, many of which are absolutely essential for tax purposes. What makes the ideal payroll officer? While the exact role of a payroll officer depends on the nature of the company involved, there are numerous skills which are vital no matter what industry you are in. A strong eye for detail is essential, as well as a comprehensive knowledge of the latest developments within the world of payroll. With the industry constantly evolving, it is more important than ever for payroll employees to be able to react and adapt to changes as quickly as possible. Of course, experience is a huge benefit for almost any role imaginable, and payroll officer is no different. 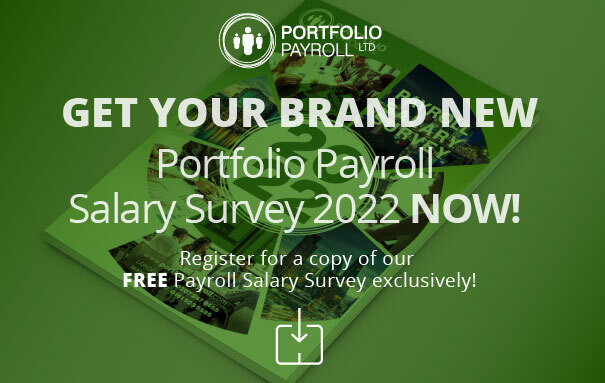 When searching for your ideal candidate, Portfolio Payroll will look to ensure that all the individuals we put forward are able to display relevant and recent experience of working within a payroll department, possessing the necessary skills to make an immediate and positive impact at the company. Depending on the size of the business, it may also be beneficial to possess knowledge of international and ex-pat payroll. Either working alone or alongside a payroll specialist, a payroll officer with experience of this nature can help the business to expand at a rewarding pace. For employers looking to hire a payroll officer, it is important to recruit a candidate with an up-to-date knowledge of payroll legislation. Within your payroll vacancies specify your requirement for an employee with a rich understanding of current regulations and impending updates. Hiring a payroll officer with extensive knowledge of such legislation changes as pension auto-enrolment or payroll real time information will ensure that all your payroll processes are compliant with new regulations. Whether you are recruiting a payroll officer or have a payroll accounting position to fill, Portfolio Payroll can help. The only agency recommended by the Chartered Institute of Payroll Professionals, our experienced advisors can recruit the ideal candidates for any position. To get in touch, call 020 7247 9455, or email us on recruitment@portfoliopayroll.com.